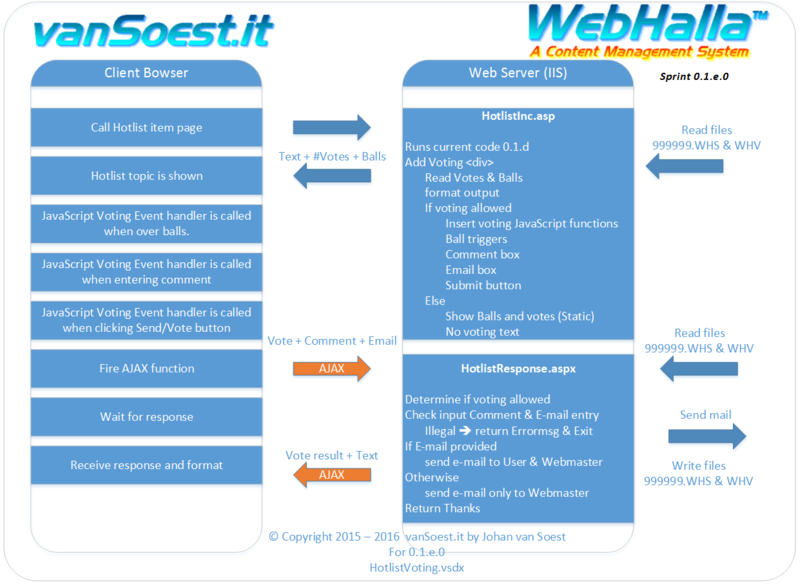 WebHalla ™ is a Content Management System (CMS) developed by Johan van Soest and designed to run on Microsoft Windows ASP.Net" servers. WebHalla ™ does not require a database thus limiting requirements on the hosting system. Netscape 8.0.1 or better Sadly the Netscape browsers are canceled by AOL. You may click on the browser download icon above. A Guestbook and dynamic guestbook form with input validation. A dynamic Response form with input validation. It automatically sends a " thank you" mail to validate the e-mail address. 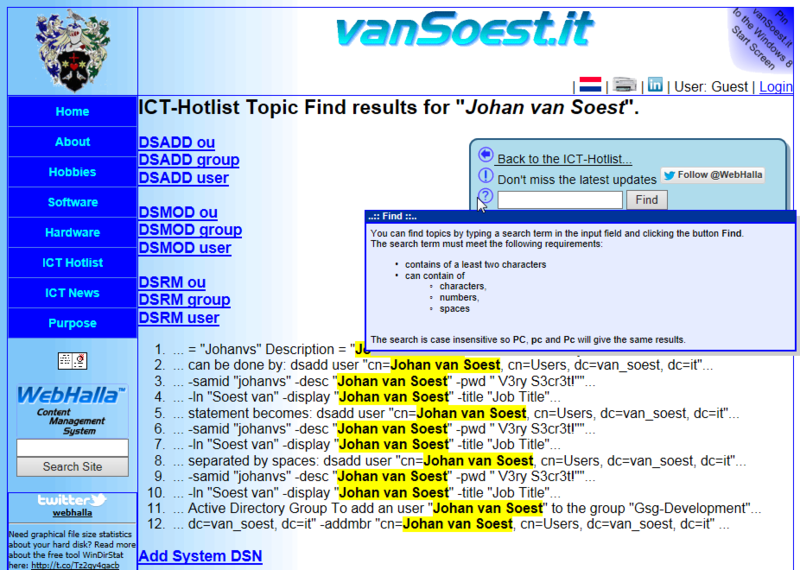 A multi-level hotlist to support a knowledge-base and store handy information. Auto resizing to use the total available screen surface. This way there is no white space on both sides of the content and the web-site will fit on mobile devices. Text flows perfectly when fonts are resized in the browser for better readability. Cookie use and Privacy description. For the news feeds from public internet servers ( server-based Mashup page) the feed type can now be specified per feed. Select between ATOM (rfc4287) and RSS. The ATOM parser now supports feed and channel tags. Windows 8 Start Screen pinning. The hotlist now supports "Expand all" and "Collapse all" to ease searching through the hotlist themes. The hotlist is redesigned so it is better suited for touch screens. Improved progress bar and status messages for the mashup pages. Improved menu bar (tiles) for touch screens. More progress indication when loading RSS/Atom feeds and the knowledge base. backwards compatible. Old content can be converted in small steps. faster rendering thus reducing loading times. better integration with modern media such as Twitter, blogs and fora. easier to print a single topic. creation and last modified timestamps shown per topic. WebHalla's W3C logging is ready for the new internet standard IPv6 as is shown highlighted. 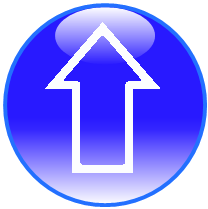 In version 0.1.d.2 caching of twitter tweets is introduced. Twitter stops responding if it gets to much requests. Every language has its own independent cache to support language based tweet accounts. Cached data is retained for 5 minutes. Version 0.1.d.3 introduces a new ICT - HotList control panel on the right side of the browser containing the navigation controls. As of version 0.1.d.4 introducing improved support for mobile devices. WebHalla has always been optimised to render websites on all platforms using all the screen estate available. With this version a new feature is introduced. Upon detection of a mobile device the menu will be hidden by default and an industry standard style "Show Menu" button is shown. Upon clicking this button the menu will reveal itself. After a selection has been made the new page is loaded, shown and the menu is hidden again to show as much information as possible on the smaller screens. 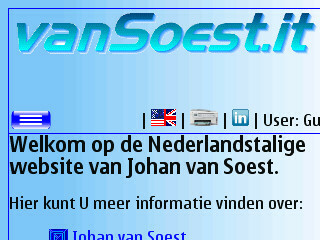 Screen shot of mobile device (Company-issued Nokia E52 (240x320)) vistiting website with menu collapsed and menu icon. Screen shot of mobile device (Company-issued Nokia E52 (240x320)) vistiting website with menu expanded and menu icon removed. Horizontal scrolling shows the entire webpage. Upgraded the Bing Maps AJAX control to version 7 so this also works on mobile devices. Microsoft stops the support on Windows server 2003 so vanSoest.it and the WebHalla™ framework have been upgraded from Windows 2003 (IIS 6.0) server to Windows server 2008 r2 (IIS 7.5). Webhalla runs without any errors, no need to change anything. Great programming Johan! Better Mobile device detection implemented for version 0.1.d.7 based on the unlicensed (free) browser detection scripts of Chad Smith. WebHalla was tested on the Technical Preview for Insiders of Windows 10 new browser Edge formerly known as Project Spartan. No problems detected. Viewport detection introduced in version 0.1.d.9. Objects such as images can now be defined as resizeable with the class tag "Resizable". Whilst loading the web-page or upon resize of the web-page WebHalla ™ will scale the object to the width of the (mobile)device to be even more responsive. Also improved error reporting and introduced time-outs in case open data Aireas server is not available. Upgraded Webhalla to the new AiREAS Open Data version 1. Webhalla now implements the new and improved AiREAS API version 1, Johan has helped to define. New Adding interactivity by introducing the Hotlist voting in sprint 0.1.e.0. You can now vote on an ICT-Hotlist article. It is possible to vote between 1 and 5 balls where 5 is the best. The visitor can also leave an optional comment or question. When a question is entered, an e-mail address can be supplied to get a response. An automatic confirmation will be send to the visitor as well as the webmaster. A movie of the voting process can be seen below. The voting program uses the AJAX technology to communicate the voting information from the browser for processing on the IIS web-server, the result is returned to the browser in the same session. The picture below is an excerpt from the design/requirement document for WebHalla version 0.1.e.0. New WebHalla ICT-Hotlist voting Visio design. You also might have noticed the new "To Top" arrow, enabling you to quickly jump back to the top of the page. Upgraded to Bing maps version 8 that also supports HTML 5. 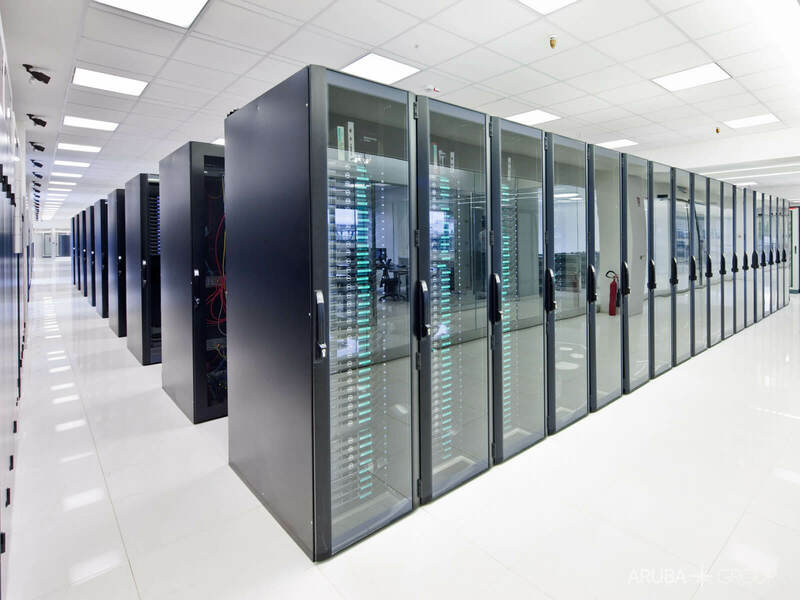 To run a secure https web site (rating A), a migration to Windows server 2012 r2 (IIS 8.5) at Aruba Business's green Rating 4/Tier IV datacenter was required. Webhalla runs without any errors, no need to change anything. Again great programming Johan! New Updated the language switch option for WebHalla 0.1.e.1. WebHalla will now open the same page in another language instead of opening the website start page. New For WebHalla 0.1.e.2. WebHalla can use the Open Data message rotator component to show actual OpenWeatherMap Weather data. At design time it is possible to select between the Open Data from Aireas or OpenWeatherMap. The latter requires an unique API key and supports multiple languages. New For WebHalla sprint 0.1.e.3: OpenWeatherMap Weather data is cached to limit the number of requests and provide more reliability when the OpenWeatherMap server is down for maintenance. Every language has it's own cache and the cache is only rewritten when the server is available and provides a valid response. The cache time-out can be specified. Development started in 2005. Currently (2019) it is in release version 0.1.e.3. Will WebHalla ™ be released under Open Source? No, WebHalla ™ is copyrighted and not intended to be released under Open Source. It's created because I needed a tool to maintain my website a lot easier. Where can I download WebHalla ™? It's simple, you can not download WebHalla ™. Why is it named WebHalla ™? WebHalla ™ is designed to ease the maintenance of my website. By creating this timesaving "heavenly internet tool" I combined the term Walhalla and Web to WebHalla ™. The name goes back even further. In the late 1990's (before Google™ started) I started a small sub website called ElectroHalla ™. This site for the Electrotechnical enthusiasts was designed to exchange electronic designs that are free of copyrights.